Photography … men in orange, with effects. | Libby's Lifestyle. 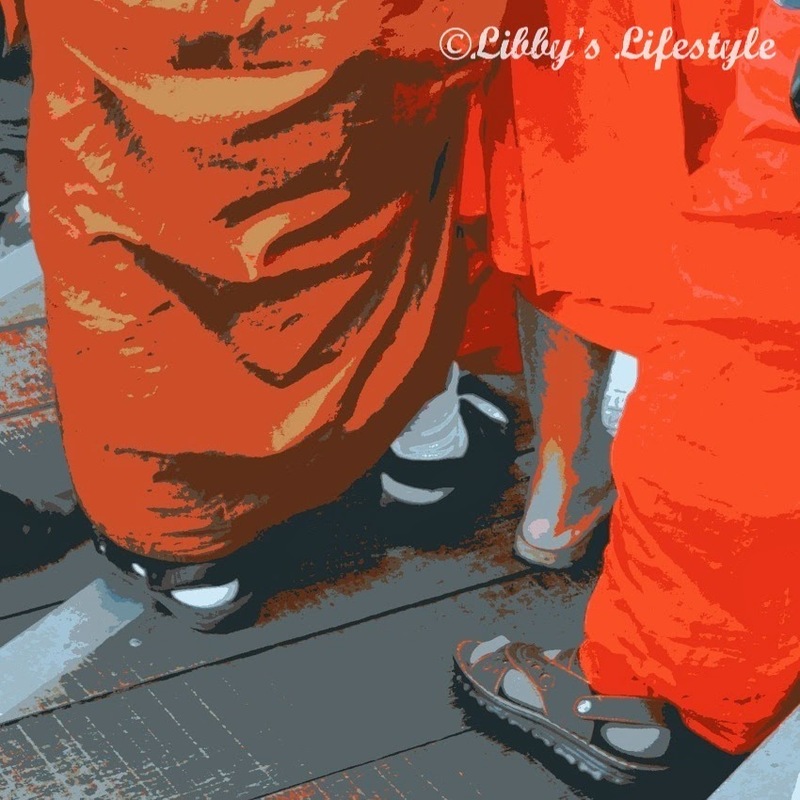 On a recent trip to the Blue Mountains with one of my nieces, affectionately known as Number 3, we shared being tourists with a group of Buddhist monks. 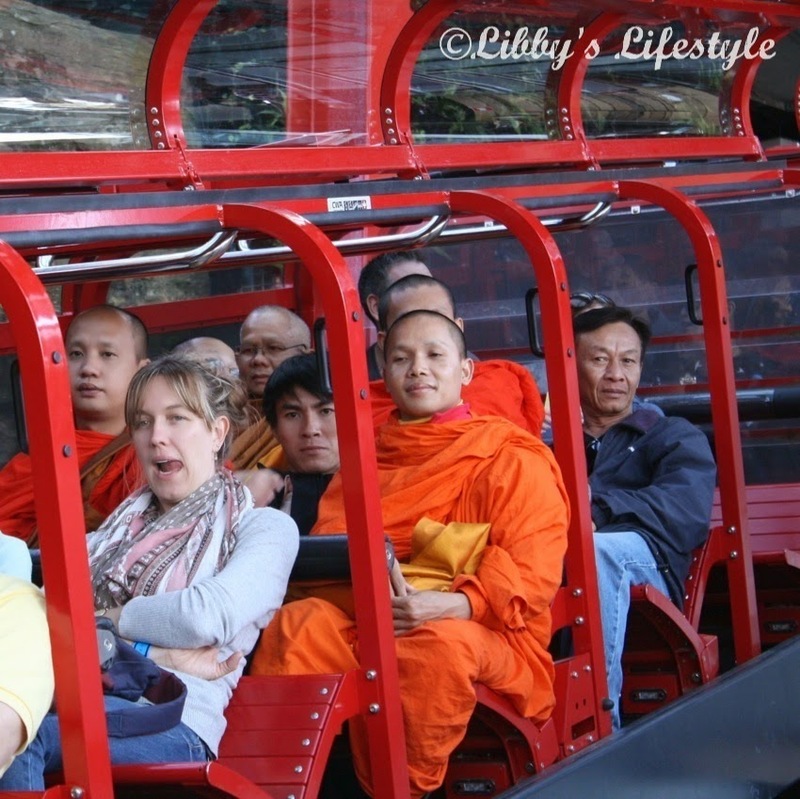 It was an unusual sight to see these quiet men, clothed in shades of orange, casually lining up for a ride on the 52 degree sloped Scenic Railway to the base of the valley. 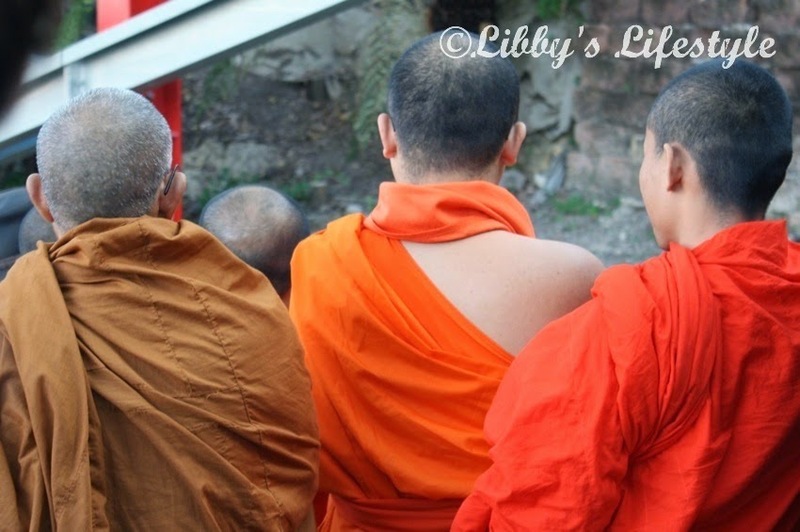 It was an autumn day and their orange attire did not appear to provide them with much warmth. They, however, seemed unaware of the chill in the air. I find Buddhism an intriguing faith and the apparent peace that it provides something to be admired. I took some happy snaps to record our chance encounter and did some playing with effects. 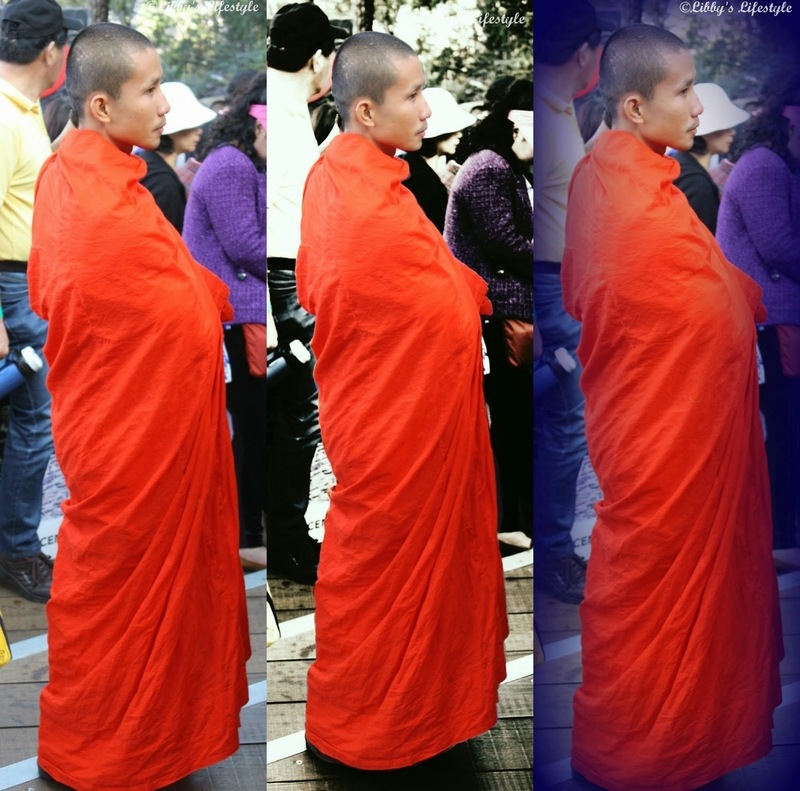 I liked the way this effect brought a grungy feel and emphasised the folds of their robes. If I had a more sophisticated editing program I would like to remove the steel structure and and the head in front of the monks and replace them with clones of the rock wall. I think this would improve the photo significantly. Another effect. I think this would look good printed on canvas. 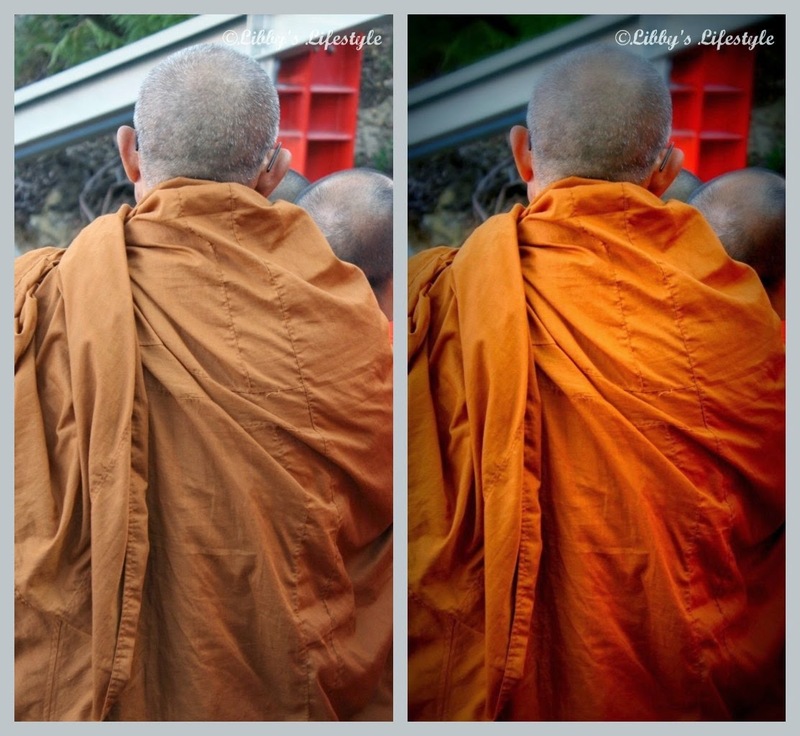 Side by side: original shot and effect which I think places more emphasis on the robe. Side by side, original shot first and two effects. The first effect I like as it takes away the impact of the background. The second effect with the purple, I'm not too sure about. What do you think? And then they happily boarded the Scenic Railway and disappeared into the depths of the valley. on a day's outing to the Blue Mountains. A more sophisticated editing program is on my wish list. I'm thinking of Photoshop Lightroom.